An online conversation with my friend Mike and a face-to-face conversation with my friend Mark have both got me thinking about Paul this week. The timing is appropriate enough: Tuesday 25 January was the Feast of the Conversion of Paul, and Wednesday 26 January was the festival of Timothy and Titus, Paul’s travelling companions. Mike set me reflecting on how Paul invested in Timothy, so that Timothy became such an excellent Christian leader. In 1 Corinthians 4:14-17, Paul tells the Corinthians that, in Christ, he became their father through the gospel: and urges them therefore to imitate his life. He goes on to say that as he is unable to come to them in person, he is sending them Timothy, who will remind them of Paul’s way of life in Christ Jesus, because Timothy is Paul’s faithful son in Christ. Paul calls Timothy his son whom he loves. Paul uses the same language to describe his relationship with Timothy as the Gospel-writers use to describe Jesus’ relationship with God: a father, and a son whom he loves. In many churches we are comfortable with the language of being brothers and sisters in Christ – that is, with the language of all being peers – though we are not necessarily comfortable with the change required of us to actually live as brothers and sisters. In some churches we are comfortable with ‘father’ as a term of respect towards the ordained minister, though it is hardly relational: in Liverpool, which has a large Roman Catholic population, I am regularly greeted as Father when I go out and about wearing my dog collar (and as La’ – that is, lad – when I go out without my dog collar). But in many churches we are uncomfortable with both the language and the change required of us of having/being fathers and children in Christ. As peers, we say, we all have the Holy Spirit within us: every sheep recognises the Shepherd’s voice: what I think God is saying is as valid as (i.e. more valid than) what you think God is saying. As peers, we easily justify ourselves as being un-teachable; or excuse ourselves for not speaking into someone else’s life. But – within the church and within the wider society we live in – we are desperately in need of fathers. It is ironic that, in an age when we need to be discussing the place and role of women in leadership within the church, that we have so neglected discussing the place and role of men in leadership within the church (at every level of leadership). Men as disciple-makers: men as fathers: men refusing to abdicate the responsibility to be a father – not just to create new life, but to raise spiritual children to spiritual maturity. The same level of access Jesus enjoyed with the Father is Paul’s model for his relationship with Timothy. Indeed, it was Jesus’ model for his own relationship with the twelve. I am thankful for those men who have been spiritual fathers to me. As Paul writes, you can have many guardians, but few fathers (i.e. more than one, but not lots). My biological father is also a spiritual father to me. So is my friend Mike, who I mentioned at the opening of this post. Each of the few spiritual fathers in my life has given life to a particular part or parts of who I am, and has nurtured that part to maturity through making their life – wherein I first saw that thing modelled – available to me, to share, to observe and participate in, day after day after day over a period of years. In the case of both my dad and Mike, on whose staff team I served, I no longer live in their ‘home’ nor see them very often: I have grown. But, in the thing I saw in them and sought to imitate – not to copy, but to express in my own life in a way that is authentic to who God has made me, not them, to be – I hope that I am a faithful son. The way in which I can be most faithful is to be a spiritual father myself: both to my own biological children, and to spiritual children. To give them full access to my life, so they can see how I live – the totally: not simply what I do, but how I be – and why I live that way. And to say, you see how I live: imitate me, as I imitate Christ. That is what discipleship means. Mark set me reflecting on Paul’s conversion, which we read about in Acts 9, and from which the phrase ‘Damascus Road experience’ has come into the English language to describe an epiphany, a moment of revelation, which causes someone to exchange one passionately held view for another. In fact this epiphany – like all epiphanies – is both event and process: in this case a literally blinding revelation of the risen-and-ascended Jesus, followed by a process of several days culminating in the Lord asking his church, represented by Ananias, to both welcome Saul as one of their number and commission him for a particular purpose. The Lord describes this purpose as being his chosen [word we will discuss] to carry his name to the Gentiles and their kings, and to the people of Israel (Acts 9:15). My chosen handbag in which to carry my name – my identity – to a particular place: in this case, when I visit the courts of foreign kings. One would have to say, it is a brave choice of handbag: who else would think to pick out an ultra-orthodox Jew to go to Gentile parties? But Jesus says, Paul’s baggage – his history; the relationships and events that have shaped him; the things he is proud of and the things he is ashamed of – is now my baggage. I have claimed it for my purposes. I’m not going to throw Paul out and possess his body like a zombie spirit. This baggage – however unlikely – is the baggage I am going to use in these particular contexts. 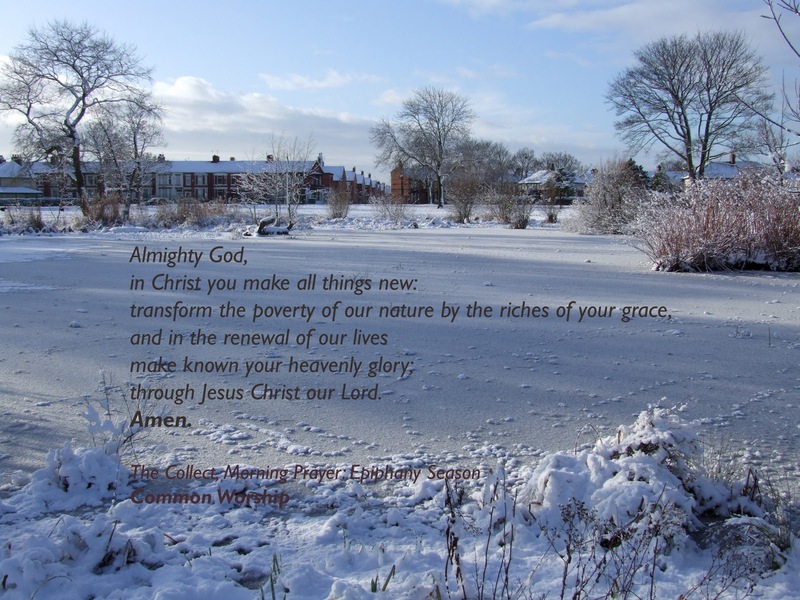 We, too, are welcomed into the church and commissioned for a particular purpose – though the process by which that purpose is revealed may take days or years. And we too come with baggage. Indeed, with baggage in a culture that tells us, you need to let go of your baggage; your baggage is what holds you back from fulfilling your potential. Perhaps even in church, shaped by the wider culture in which we find ourselves, we are told that God wants us to let go of our baggage so we can be the person he wants us to be. But that is not what Jesus says to Ananias: Jesus says, I don’t want to empty out the baggage; I want to redeem it, to use it for my purposes. For what occasion am I Jesus’ handbag? In what ways does my own baggage, now claimed by Jesus and redeemed for his purposes, speak of God’s character? The building-block of the Greco-Roman world was the household. There is a recurring pattern of church growth in the New Testament: households come to faith. Existing communities, composed of an extended family plus their slaves (think employees, rather than the total slavery of the modern era) (who may also have been families), became a community participating together in worship of a counter-cultural god, in fellowship that broke cultural norms, and in evangelism among their existing suppliers and clients (these households were economic units, with workshops on the street and living quarters behind) and neighbours. The Christian community in Philippi began with the household of Lydia (a fashion designer) and the household of the gaoler (police chief?) coming to faith. Paul concludes his letter to the Christian community in Rome by sending personal greetings to various individuals, and five distinct households of faith. In this way Christianity grew exponentially for 300 years. The north of Liverpool is unusually stable for an urban population. 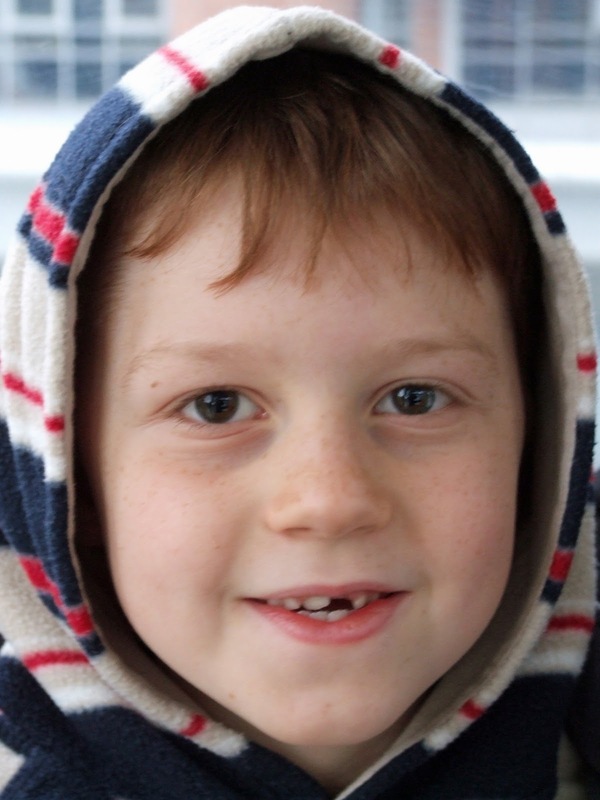 In the case of many of the children at our children’s school, their parents – and in not a few instances, their grandparents – went to the school before them. Rather than families moving in search of work, many men went away to work, while their wives kept the family together back home. 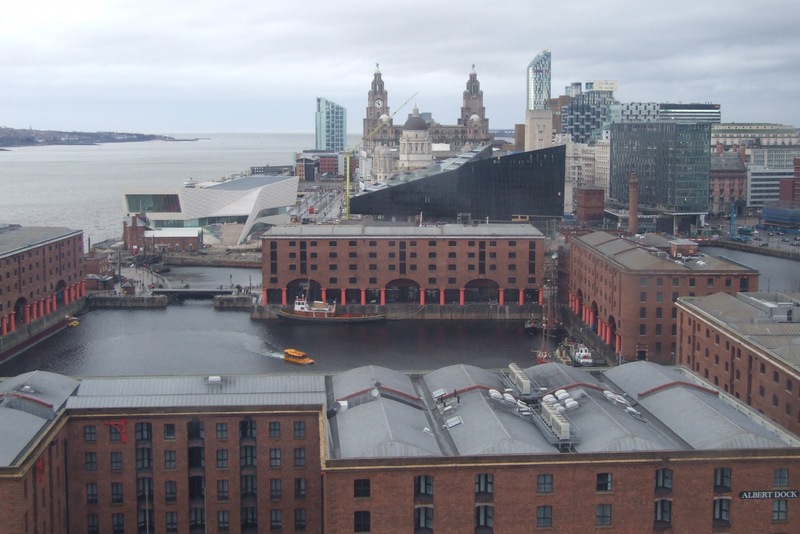 (This is an inheritance of the Irish navvies, who came over and laid the railway tracks across England – to this day, Liverpool is in many ways culturally more Irish than English – and of the crews of the ocean liners registered in Liverpool.) It is not uncommon for me to take the funeral of a builder, all of whose male relatives are also builders, and all of whom worked together in the London building boom of the 1990s, sending home their pay. This unusual stability has implications – both negative and positive – for mission strategies. I think it is highly unlikely that very many people living in our parish will come to faith, attach themselves to a missional community – a reconstructed household of faith – and stick with those relationships for the long haul. They already have stable belonging places, and have neither need nor capacity for additional belonging. Back in the 1960s Edward Hall developed a theory of ‘proxemics’ to describe how we as human beings use space in building communities. He identified four spaces: the public, the social, the personal, and the intimate. Public space is where we share an experience with others, and connect through an outside influence – such as being part of the crowd at a football match or concert, or shopping at a supermarket. Social space is where we share an authentic ‘snap-shot’ of ourselves – enough to give some idea of what it would be like to know me better, which enables you to decide whether you want to know me better or not. This is also neighbourly space: I don’t go for a pint with my postman, but it helps nurture a healthy community that we might chat in passing. Personal space is where we share private experiences, thoughts and feelings – but not everything. Intimate space is where we are able to present ourselves ‘naked and unashamed’ – where it is safe to be defenceless and vulnerable. In the early 2000s, Joseph Myer applied Hall’s work to church congregations, in the face of a fixation with the personal space – e.g. cell – as the answer to our need to belong. Myers’ invaluable contribution is to demonstrate that our individual and communal wellbeing is nurtured by connecting with others in all four spaces. This includes connecting with different people in different spaces; and also connecting with the same people in different ways in each of the different spaces (e.g. spouses in a healthy relationship relate to one another in different ways in public, social, personal and intimate spaces). If churches are to be communities that participate in nurturing a healthy society, then they need to help create spaces of all four sizes – and participate in existing spaces in the wider community (i.e. see ourselves as part of the community, not patrons to it). Furthermore, while living in a plurality of spaces, we need to resist the temptation to strongly encourage – force – people to move from one space to another. For example, someone who regularly attends the public space created by a church – most often, Sunday morning worship service – but does not join in with a midweek cell (personal space) or missional community (social space) is not necessarily any less committed: their sense of belonging may be genuine, and needs to be affirmed, not marginalised. They may well belong at a social or personal level outside of the church – and insisting that all our belonging is met by church groups is a guaranteed way to stifle evangelism. On the other hand, if such a person is experiencing the dissonance caused by not belonging in any social or personal space, then it is good to invite them to a social space – where they can decide whether they want belong or not, no strings attached. One of the biggest problems that we face at St Andrew’s – and I don’t think we are unusual in this regard – is confusion as to the role of each space in creating healthy communities. We are conditioned by the fixation Myers identifies, that genuine or authentic community takes place in personal space. Therefore we lament that our public space does not enable the personal level of belonging, rather than appreciating what it does (or at least could!) provide: inspiration; momentary escape, even; and a being part of something bigger. Or we try to replicate our public space in social space, seeking to hold people together instead of allowing them to decide that they don’t want to belong in this space. In fact, genuine and authentic community can – and needs to – take place in all four spaces: it is just that what is genuine and authentic varies from space to space. The problem with seeing mission as something in addition to life (apart from that never having been God’s intention) is that most people struggle to live – and in the West, where we have so many labour-saving devices, feel guilty that they struggle to live. For mission to be an additional burden placed upon people of faith is unbearable, unsustainable, and their sense of failure only adds to their sense of guilt. Too many churches operate as little Egypts; too many church leaders as little Pharaohs, telling people to make bricks and find their own straw. Rather than seeing mission as something in addition to life, we need to see life as participation in mission. Rather than looking for a mission focus in addition to our everyday lives, we need to see our everyday lives as missional. And that is why for missional communities to engage in missional activity, the members of that community must live life together. Not necessarily living in one house; not necessarily every member of the community seeing every other member of the community every day. But our lives need to be entwined. And that doesn’t happen in a weekly meeting, valuable as such a meeting might be. If every part of our life has the potential to be an expression of and participation in God’s mission to create the sort of environment in which life is not overwhelmed but can flourish, it is also true that every part of our life has the potential to participate in and contribute to the chaos that threatens to overwhelm life. This includes things we call church, and things we call mission. Just because we call something our missional activity does not mean that it reflects God’s mission. If the ways in which we construct our understanding of church and of mission – indeed, of life – result in greater chaos rather than the order that enables greater flourishing, then we have got something fundamentally wrong. More than anything, God creates space for different-but-connected communities to inhabit (the waters, the sky, the land). Each thing has its place, in which it can flourish, in which it can discover its fullest expression. Where our understanding of church or of mission looks like one-pattern-fits-all, or like all-must-fit-everywhere, we work against God’s mission. Teeming life can look chaotic at times – though closer observation reveals wonderful, intricate patterns – and life is always an ebb and flow between the chaos we are emerging from and the glorious liberty into which we are emerging; but, if over time our engagement with church and mission contributes more to the overwhelming of life than to the releasing of life, we need to reimagine. Genesis chapter 1 is a foundational text for life. It declares to us that the mission of God in the world is, and always has been, creating the sort of environment in which life is not overwhelmed but can flourish. “Let there be...” is not so much an order to be obeyed as a permission-giving, a liberating from chaos. 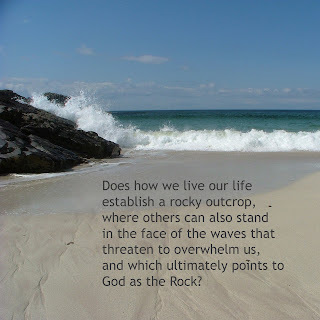 What emerges reveals something of the nature of the One whose mission this is: light springs forth, and declares that God is Light; solid ground is drawn as distinct from turbulent seas, and declares that God is the Rock on which we stand, even in the face of turmoil. And that the gift of life is an invitation to participate in that mission: in creating the sort of environment in which life is not overwhelmed but can flourish, and so declaring in our very being the Being of the One in whose likeness we are created. Therefore all that we do, having the potential to create the sort of environment in which life is not overwhelmed but can flourish, has the potential to be an expression of mission. Mission is not something in addition to our life: life is meant to be missional in every part. And so our lives are supposed to be a living illustration of life being liberated from chaos. This is an ongoing mission: because we are always in the process of emerging out of chaos (just as light is always in the process of emerging out of the Big Bang, or cosmic explosion, of God’s declaration “Let there be light!”); and because chaos is always in the process of overwhelming us (as it had overwhelmed the earth at the ‘start’ or beginning of our Story, and will do until the ‘end’ or completion of our Story). What threatens to overwhelm you? In the environment of my home, the constant rising-up of dirt and dust threatens to overwhelm me. Seriously. In the environment of the digital revolution, the tsunami of information and the siren-call of screens threatens to overwhelm me. I need to put in place structures that order the environment in such a way as to allow life to flourish and chaos to be held at bay (just as the first humans were to tend the garden). So attending to the laundry and the vacuuming are missional activities, and when someone comes into my house and finds an ordered environment rather than a chaotic environment, this speaks of life as God imagines it to be. Likewise, setting boundaries on my screen-time allows facebook to be a life-affirming environment (keeping in contact with dear friends) while not allowing other relationships (principally my wife and children) to be overwhelmed by – or mediated through – screens. Such an environment is not static – we can never say, “I have set the boundaries; they are in place” – but requires continual (though not constant) work. We need to see all of our life as missional, as responding to God’s invitation to participate in his mission. All of life has immeasurable worth; all of life is in need of liberation from chaos. What threatens to overwhelm you? How might you create the sort of environment in which life is not overwhelmed but can flourish? Last night we were in the sanctuary at St Andrew’s, with a group of people who are becoming community around the common focus of leading the wider community – both the church community, and those beyond – into God’s presence through worship. Only a few were there because they would be learning songs and rehearsing for leading worship at our gathered time on Sunday morning coming; more were there simply as part of the community, not for a particular task. We began all together, with Jo (my wife) praying, inviting God to speak whatever word we needed to hear. A weighty silence: the sort of silence that happened, in part, because no-one could speak, or play, or sing. An extended silence: at least, by the standards of our day-to-day experience. But Jo had prayed, asking God to speak the word we needed to hear, and the silence was his gracious response: his word: his gift to us in that time, in that place. For, we are precious to God, not as a commodity to be stewarded or a machine to be run efficiently, but as a dearly loved child. Life is a gift, and time is also a gift; space is a gift, and the prolonged silence – space and time to be, not do; to have the internal turmoil of the over-stimulated brain stilled, if we will choose not to resist it; to be known and loved because we are, and not earned by our achievement – is a gift, and one that is profoundly healing to heart and mind and body and soul. Silence was not what we had anticipated, not what we had realised we needed, not what we wanted or hoped for: but it was God’s gift, the very thing we needed to receive from him. After I spoke, there was silence again. In the news today, a judge has ruled against the right of a Christian couple to refuse a double room in their hotel to a gay couple. This is seen by some Christians as further evidence – if evidence was needed – that Christians are increasingly being persecuted for their faith in the UK at this time. It is worth noting that Christian views on human sexuality are heterogeneous – there is no one universally acceptable position, and plenty of experimenting – and, moreover, would appear to be changing (the Church of England holds an orthodox view of human sexuality, but also recognises that the Church has the authority to change its mind on the interpretation of Scripture), albeit much more slowly than British society at large (which, while it may be painful for individuals, is in my view a good thing: all change, even positive change, has unforeseen consequences for good and evil, and the Church serves society well by resisting the urgent, addictive pull of the instant decision in our digital age). It is also worth noting that there is no homogeneous gay position on Christianity: some gays believe that Christian belief is inherently incompatible with being gay; some gays believe that there is no incompatibility (and cannot be) between self-identifying as gay and as Christian; with a complex range of views between. However, for the sake of discovering a deeper principle, let us for the moment go with the proposition that a gay lifestyle is a moral, albeit not legal, offence. That would make a gay couple unrighteous, perhaps even wilfully evil. In the Sermon on the Mount, Jesus observes that our Father in heaven causes his sun to rise on the evil and the good, and sends rain on the righteous and the unrighteous. He is impartial in his love. And on the basis of this observation, Jesus goes on to reflect that if we are only prepared to bless those who are like us, then we do not reflect God’s nature, but in effect we worship a false understanding of God – and as we are shaped into the likeness of the thing we worship, we are misshaped. The liberty of the Christian is not to bless only those whose lives we approve of, but freedom to bless anyone and everyone, including – perhaps, especially – those we see as ‘them’ rather than ‘us.’ Moreover, the liberty of the Christian is the freedom to lay down our own lives for the sake of another – to surrender, rather than demand, our rights, in order to demonstrate sacrificial love. It is a tragedy of immeasurable proportions that Christians are seen by our neighbours for what we disapprove of, rather than for extravagant love of our neighbour, whatever our differences. I am far from convinced that Christians are being systematically, covertly but with increasing boldness, persecuted for their faith in the UK. I am somewhat more convinced that such persecution is what we need. We all went on the Liverpool Wheel at the weekend, at Noah’s request, in celebration of his birthday (which is today). Great views over the city-centre, though it was far too overcast to see any further afield. My brother was down from Edinburgh for a weekend of uncle-ness. Good times. View along the Mersey waterfront, with the Albert Dock in the foreground, to the new Museum of Liverpool Life (in construction) and Mann Island apartment blocks (in construction), with the ‘Three Graces’ World Heritage Site (the Port of Liverpool building, Cunard building, and Royal Liver building) beyond. View over the city, with the conical Roman Catholic cathedral and massive Anglican cathedral, at either end of Hope Street. Micah 6:8 says something like this: that God has shown humanity that what he requires of us is to be just, or fair, in how we relate to one another; to show kindness (often translated ‘love mercy’); and to walk humbly, to tread the earth lightly, looking to him. It seems to me that kindness is at least in danger of becoming a forgotten virtue, and one worthy of reflection. Here are some final thoughts. In his letter to the church at Colossae, Paul describes various people groups. There are the Greeks, and the Jews; the barbarians, and the Scythians. Each is immediately recognisable by their cultural or tribal attire, just as today we can identify a hoodie or an emo by what they wear. But God has created a new people, out of all these previously separate peoples. And this new people must also be recognisable by what they wear: not literally, but by ‘clothing themselves’ with compassion, kindness, humility, gentleness, and patience (Colossians 3:12). That is, other people are supposed to be able to look at us and immediately tell that we are God’s people because of our visible kindness (among other things). It is part of our tribal insignia. Towards the end of the book of Acts, Paul is travelling by sea as a prisoner to Rome, to stand trial before the emperor, when the ship is caught up in a storm and wrecked off Malta. Luke, who was accompanying Paul at the time, describes the Maltese as being of ‘unusual kindness’ – which I think is an incredible description. He goes on to describe various ways in which the Maltese showed kindness. The story does not end with an account of the islanders coming to believe in Jesus. But today the Christian community on Malta (of various traditions) is known for its hospitability, a characteristic they trace all the way back to Paul’s shipwreck. While we are called to show kindness, we must not assume that we have a monopoly on kindness. Indeed, it would appear that willingness to show kindness to us is a clue that someone is open to us and to the message we carry – what Jesus called a Person of Peace. Such a person is kind because God is already at work in their lives. Where we fail to value kindness, we blind ourselves to the relationships God is putting in our path. It seems to me that kindness is at least in danger of becoming a forgotten virtue, and one worthy of reflection. Here are some more thoughts. In the Sermon on the Mount, Jesus says that God causes his sun to rise on the evil and the good, and sends rain on the righteous and the unrighteous (Matthew 5:45). He is impartial in showing kindness. Where we only show kindness to those who respond to us in the way we would hope, we do not share in God’s likeness. Where we drop someone who does not choose to follow Jesus with us – as if they were no more than a project on our part – we are idolaters: that is, we have made for ourselves a false representation of God, which in turn will mis-shape us. On one of his missionary journeys, Paul finds himself in Lystra, where he tells the local population that God has not left himself without testimony: his kindness to everyone in sending rain from heaven, and crops in their season, in giving plenty of food, and filling our hearts with joy, all point to him (Acts 14:17). There may be more to be told – the message that Paul brings, concerning Jesus. But kindness is a big part of God’s self-revelation. Why would we belittle it, simply because it is not the full picture? Why would we assume that until someone has heard about Jesus, they have no knowledge of God, when arguably the greatest Christian missionary of all time explicitly says different? It seems to me that kindness is at least in danger of becoming a forgotten virtue, and one worthy of reflection. Here are some further thoughts. God says, “I have loved you with an everlasting love; I have drawn you with loving-kindness.” (Jeremiah 31:3) This is the approach that our Father has chosen to take. Yes, he disciplines those he loves. But this Father does not want us to respond to him out of fear – such obedience would be empty, searing rather than protecting the heart – but out of the security of knowing consistent kindness. And yes, of course children can take advantage of that; but it would appear to be a risk God is willing (indeed, determined) to take. Jesus tells a very disturbing story about those who show kindness and those who fail to show kindness (the sheep and the goats, Matthew 25:31-46). In his story of the final judgement, one group (the sheep) are invited to share in the kingdom he has prepared for them, because they showed him kindness when he was hungry, thirsty, naked, sick, imprisoned...the other group (the goats) are shut out, sent to hell, because they failed to show such kindness. The sheep protest that they never even recognised Jesus in those they showed kindness to; the goats protest that they know Jesus, and never saw him in need. Paul tells the churches of Galatia that the fruit of the Spirit is love, joy, peace, patience, kindness, goodness, faithfulness, gentleness, and self-control (Galatians 5:22, 23). As someone who needs these things to be manifest in my life, I am glad that the Holy Spirit is committed to this! There is only one fruit of the Spirit, but it has nine subtleties to its flavour. If kindness is to be genuine, it will be loving, joyful, peaceful, patient, good, faithful, gentle, and marked by self-control. It seems to me that kindness is at least in danger of becoming a forgotten virtue, and one worthy of reflection. Here are some thoughts. Kindness is an expression of covenant, of life-long commitment that stretches beyond the parties who enter into covenant, to embrace their children. So in Genesis God shows kindness to Isaac and to Jacob because they are the son and grandson of God’s friend, Abraham. Centuries later, king David will demonstrate an understanding of this faithful kindness. Having come to the throne after a bitter civil war, and the death of king Saul and his sons at the hand of a neighbouring tribe, David would well have been advised to search out any survivors of Saul’s family line and have them killed, in order to secure his own position on the throne. But David was a covenant friend of Saul’s son Jonathan, and instead he asks whether there are any surviving members of Jonathan’s family to whom he can show kindness, for Jonathan’s sake. Kindness is radically subversive. The opposite of kindness is failure to show kindness, in particular demonstrated through exploiting the vulnerable. The book of Job and the Psalms consider failure to show kindness as an offence before God. Among the vulnerable they include those who are unable to have children, widows, orphans, the poor, the needy, and the broken-hearted. The world has always been an unkind place. In our own time this is exacerbated by the instant, driven, pace of the digital revolution – we have neither time nor space to express kindness; by the state of our economy; and extreme individualism. If we are honest, our approach to mission is shaped by this culture: we see kindness – the very antidote to unkindness – as vague, ponderously slow, as an ineffective strategy. The Jewish community see kindness as a key element to repairing the world. Included in this is their approach to marking births, weddings, and funerals within the community. In contrast, many churches looking to engage in mission in our western context see these occasions – and the pastoral issues around them – not as opportunity to show kindness but as distraction from mission, or even imposition upon our worship. Again, for the Jewish community kindness is the interpretive key that makes the Law an ethical concern for constructing a fair society, rather than a set of Rules to be obeyed. It is when kindness is forgotten that grace is replaced with legalism. Jesus himself summarised the Law in the Shema: love God, and love your neighbour as yourself. When we read something in the Bible that is hard to understand, kindness may be a useful lens through which the text comes into focus. The Season of Epiphany runs from the eve of the Feast of The Epiphany (January 6; see Matthew 2:1-12) until the Feast of The Presentation of Christ in the Temple (February 2; see Luke 2:22-40). An epiphany is generally understood to be a moment of sudden and unexpected revelation, but in fact an epiphany is both event and process – the event itself, and the process of interpreting the event and responding to it; or, the initial event and its long-term implications. The Feast of The Epiphany recalls the story of the Magi, court astrologers who witnessed an event – a new star – and who then went through a process of interpreting that event – this tells of the birth of a new king, the start of a new era – and responding to it – choosing gifts to take to this new king, making the necessary arrangements for a long journey. But the Season of Epiphany is also concerned with an epiphany event and process for God. In Jesus, God has become a human being. But God does not appear in adult human form, and retaining all his divine knowledge of humanity, as the One who created us and had watched us since that day. Jesus empties himself of divine knowledge, and is born as a baby. That is the sudden and unexpected (albeit foretold) event. But the event gives birth to the process – Jesus must learn what it means to be a human being. The gifts that the Magi choose to welcome his coming into the world are gifts that will help Jesus to learn what it means to be human. And, therefore, they can help us to discover what it means to be human too. need for shelter, for food, for clothing; needs that Jesus will learn that God our Father meets (Matthew 6:25-34). need to forgive, and be forgiven; needs that Jesus will learn that God our Father meets (Luke 11:4; Matthew 18:21-35). needs relating to love and loss; needs that Jesus will learn that God our Father meets (Matthew 5:4). As he grows, and learns to study the Scriptures, his study will confirm those aspects of being human that the Magi’s gifts first introduce to him. For in giving of ourselves we are told we must do so with all of our heart and all our soul and all our strength (Deuteronomy 6:5; Matthew 22:37; Mark 12:30; Luke 10:27). My guess is that as a boy, Jesus pondered the gifts brought him as an infant; that as he grew, he used them wisely – perhaps to redeem someone trapped in debt; as he prayed; perhaps as an eldest son he even helped his mother to prepare Joseph’s body for the grave? My guess is that these gifts shaped his imagination, his understanding. At the Feast of Epiphany, our family like to invite guests and give them token gifts symbolising gold and incense and myrrh, as reminders of what it means for Jesus to become one of us, to redeem what it means to be fully human. On my bookshelf there is a new gold decoration in the form of a star, a fragranced votive candle, and a tube of hand cream. These will shape my meditations over the next five weeks. My prayer is that I may become more fully human, and that my interaction with others would – in some small way – help them to become more fully human too. January is often seen as a reality-check after the excesses of Christmas and New Year’s Eve celebrations. Wills are resolved, to quit smoking, to go to the gym, to improve our quality of life in some way or other. And the vast majority of resolutions made have been broken by the end of January, abandoned as a bad job by the end of February, and all-but-forgotten by the end of March. Why? Jesus speaks of reality-check moments. 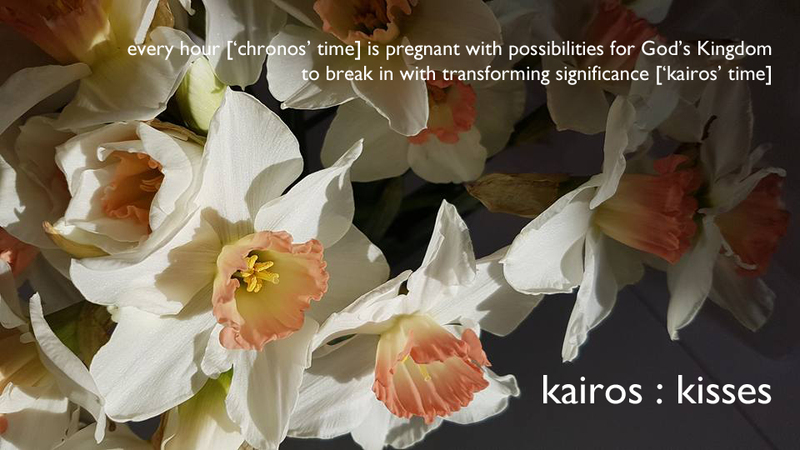 He calls them ‘kairos’ moments: time that has a significance that transcends the chronological record – just as New Year’s Eve and New Year’s Day have a cultural significance that transcends the inevitable and unremarkable progression from 23:59 on 31 December to 00:00 on 1 January. And Jesus says that the rightful response to kairos time is to repent and believe: that is to change our mind about something and to live in a different way in relation to that thing. New Year may be an arbitrary kairos, but it is no less a kairos for that. But most resolutions are made because we feel that a New Year’s resolution is in order; made as an emotional Pavlovian response to the chimes of Big Ben, or the hangover of the next day; selected from a pre-set and limited menu. For the most part, we fail to stop and observe the small but tell-tale signs; the often incidental ways in which our body tells us that something needs to be addressed before further damage is incurred; or the easily-missed pieces of evidence that someone else has discovered the benefits of a different approach to living. Even if we happen upon a change that has the potential to do us good, we tend to fail to reflect adequately on the matter. For example, if our resolution is to quit smoking, we need to reflect on the stress-triggers in our life, which have been managed by nicotine. To quit smoking without addressing stress will very likely raise our experience of stress, thus driving us back to smoking. Or, for example, if our resolution is to stop binge drinking – arguably the greatest social health crisis facing British society at present – then it will be inadequate to continue going on pub crawls with our friends at the weekend, with the intention of keeping to soft drinks. Success will depend on moderating behaviour; on recruiting friends to support – even join you – in your decision; perhaps, even on finding new friends. Most resolutions are made on our own. If we are brutally honest with ourselves, very few of us trust anyone else enough to ask them “What do you think I need to change about my life?” and to take on board what they say in reply, whether they are our doctor, our spouse, or a friend. Such discussion helps inform – and possibly revise – our own observations and reflections. We need to confront our fear of confrontation, and our addiction to individualism over community. Change doesn’t happen by accepting that it needs to happen. Many people know that smoking, or over- or under-eating, or lack of exercise is bad for their health. Change needs to be planned, or it will not happen. An intention is not a plan. Plans need to be practical, detailed, and managed in incremental steps with clear measurable goals that stretch us without being unattainable, so that we are encouraged rather than discouraged. Plans often need the input of an outside ‘expert’ – such as a training programme created for us at the gym. Again, here is the weakness of the triumph of individualism over community. Succeed on your own, and you get to claim all the glory...but you massively reduce your chances of succeeding at all. We need the encouragement of others to press through the wall we will hit when trying to make any change of attitude and behaviour. We need someone to expose us when we go back on our intentions and try to hide our failure; someone who will think no less of us, but will help us get back on our feet, will forgive us our failure and our trying to hide our failure, and who will strengthen our resolve by accompanying us on the journey. Every Frodo needs his Samwise. Christmas is for life, not just for Christmas. This year has been the most low-key Christmas I can remember in ages. We didn’t send any Christmas cards. I note on facebook that many friends who normally send cards to friends hadn’t this year; and we received far fewer than usual (from anyone, on facebook or not). I don’t think this reflects a change in how we communicate – virtual and paper social networking are not mutually exclusive – or a conscious decision – to save on paper waste, or even on the cost of stamps – but a collective somehow just not getting round to it. If I am honest, the back end of 2010 just took too much emotional energy out of us – nothing dramatic, rather an accumulation of background stuff – and I suspect that this scenario was repeated in homes across the country. We had a good Christmas – getting to spend some time with relatives, with friends, on our own; though we didn’t get to see everyone we had planned or hoped to see, due to the disruption of the hardest December winter weather for 120 years. But the most common response we have had when we have been asked “Did you have a good Christmas?” and replied “Yes, we did, thank you” has been “Really?” Yes, really. Again, I don’t think this is because people don’t like Christmas – though it is a hard time for those grieving; and expectations and pressures always place additional strain on relationships between family members – but because this year there has been a widespread revising of expectations. This is in part conscious: some have spent less (time, effort, money) on Christmas, in the face of impending redundancy in the New Year. It is in part due to the disruption of heavy snow: more spent less because they couldn’t get to the shops as they had planned, and hesitated even buying online out of concern that deliveries wouldn’t get through. And it is in part subconscious: a collective response to what is being called Austerity Britain – though some have been facing austerity for a while now, and others are still not feeling the bite. The fortunes (and I am not speaking simply financially) of a country rise and fall. As in Joseph’s Egypt (except without his forethought), we may be about to experience years of famine after years of plenty. We may also be entering a cycle of harsher winters. Things shift, and though it sometimes takes a while for us to catch up, our responses shift too. Christmas might be low-key for some years to come now. in the good years and in the bad years; in the feasting and in the fasting; in our celebrations and in our refraining from celebration. God being with us, our experience is no less authentic for being extravagant or for being austere. And, God being with us, our experience is a door through which we can enter-in – and invite others to enter-in – into his life-transforming, world-changing presence.